We’re excited to share the topic and questions for this week’s #HITsm chat happening Friday, 1/13 at Noon ET (9 AM PT). 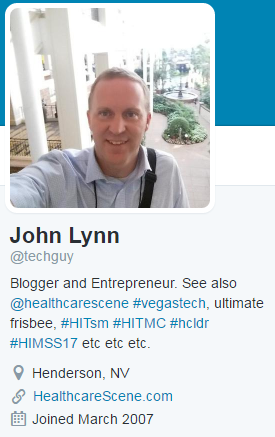 This week’s chat will be hosted by John Lynn (@techguy) from @HealthcareScene on the topic of “New Year’s Goals for Healthcare IT“. Should be a great time looking at the healthcare IT industry and evaluating what goals might help move the industry forward. Plus, we’ll talk about personal goals we can make in our own life and as an #HITsm community to make healthcare IT better as well. T4: As an #HITsm community, what goals should we strive to achieve in 2017?